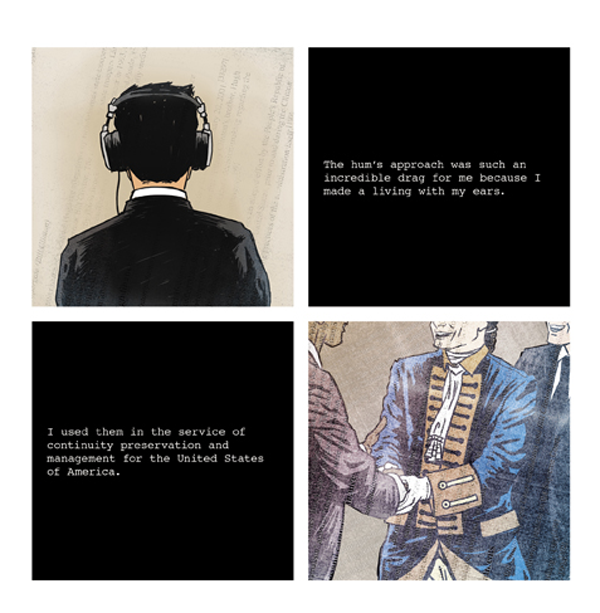 Comic artist Robert Algeo is an illustrated storytelling mastermind. After studying English as an undergrad at Temple University in Pennsylvania, he moved to Minnesota to pursure an MFA degree in Comic Art from the Minneapolis College of Art and Design. Throughout his 29 years, Robert has traveled the world and lived in Detroit, Gilbertsville, Krakow, Philadelphia and Minneapolis, all the while developing an undying love for comic books. His latest comic book, Hum, will debut at the Minneapolis Indie Expo on November 5th and 6th, 2011. You can find more of Robert's work at In Absentia Press. 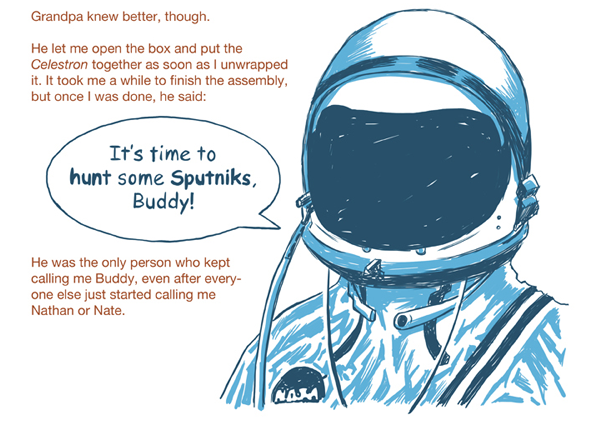 Selection from the web-comic My Grandfather Was An Astronaut. Complete short comic, Dr. Eric Attar Starring as The Kerrang Hunter. Page 3 of mini-comic, Master Exploder. All Rights Reserved to Robert Algeo.